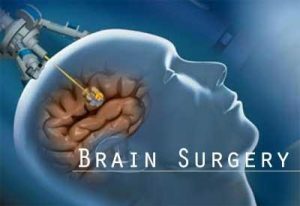 A rare look at brain surgery with the patient alert and awake at Smilow Cancer Hospital at Yale-New Haven. Anthony Munoz has a brain tumor that is not cancerous. Neurosurgeon Dr. Jennifer Moliterno, who specializes in brain tumors, is focused on the massive one just above his left temple. “The more tumor you remove the better outcome the patient has,” said Moliterno. Taking a more aggressive approach like Awake Craniotomy, Dr. Moliterno says, is a growing trend among those experienced, armed with high-tech tools, all done with the patient’s safety in mind. “You also don’t want to sacrifice the patient’s function and quality of life,” said Moliterno. It’s not routine to keep patients awake, but in Anthony’s case, a small section of the tumor was in the area of the brain for speech function. “When we want to make sure that we are removing tumor, but we’re not removing a part of the brain that involves speech or motor,” said Moliterno. That’s exactly what the trained surgical team was able to do, remove most of the tumor while keeping Anthony comfortable. “I myself will inject local anesthetic around the head and that way it kinda numbs the whole head, which really allows patients to be a whole lot comfortable for a longer period of time,” said Moliterno. “Honestly I feel fine,” Anthony says to the doctors and nurses checking in while he recovers. Two days after in his hospital room, his memory is still a bit fuzzy, however he remembers clearly this. Recovering is now his focus. He will undergo chemotherapy which is occasionally recommended for treatment of a brain tumor. Dr. Moliterno says due to the aggressive surgical approach, Anthony will likely avoid radiation.